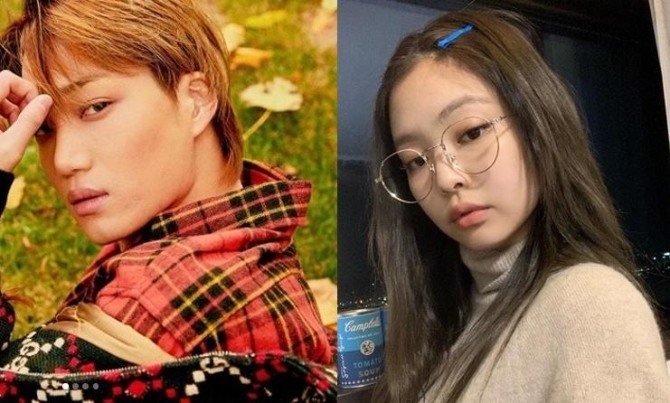 With news that Kai and Jennie, from two of the most popular K-pop acts in EXO and Black Pink respectively, are dating, K-pop fans have had much to say about the rumored new couple. The new relationship came to light after Dispatch released a batch of photos this week showing the two keeping a low profile on what appears to be a nighttime date at a park in Seoul. Since then, the hashtag #JenKai has been trending around the world. One account has already been dedicated to the couple -- so much so that it named itself after the two. “She is dating with the sexiest guy on earth and he is dating with the most beautiful woman on earth. They complete each other,” Twitter user Kai&Jennie said. Another individual went a step further and elaborated on the impact of the news on Black Pink. “The fact that some of y’all are saying that this relationship between Jennie and Kai could badly effect Blackpink as a group but in reality it’s the complete opposite. They just gained 58,000 new followers from South Korea this week on their Twitter profile, JenKai’s impact!” tweeted the account Lalisashe. One top tweet posted showed an old clip of the two on stage on MBC’s “Show! Music Core,” suggesting Jennie was gesturing at Kai to come over -- the implication being that the two were already in a relationship at that point. However another user threw cold water on the claim, commenting that she was actually blowing kisses to the audience. Reports of what has been described as potentially one of the biggest couples in K-pop have been followed closely on Twitter. Soon after news broke Tuesday, hashtags and keywords related to the couple began trending worldwide, including Jennie’s name appearing on Canada’s trending list. Black Pink was also in the headlines this week after reports revealed the group will be the first K-pop act to perform at Coachella this year. The music festival in the spring in California regularly attracts about a quarter of a million people.